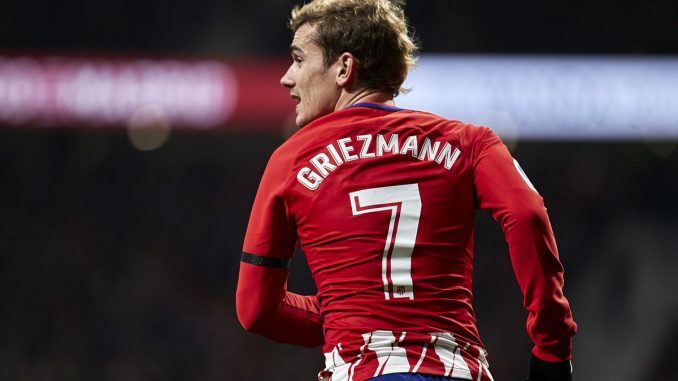 Zinedine Zidane would make France international Antoine Griezmann his number one transfer target if he became Manchester United coach, according to reports in the French media. Spanish outlet Diario AS quote Le10Sport as reporting that Zinedine, who left his post as Real Madrid coach at the end of last season, would want Antoine to be his ‘star’ at Old Trafford if he replaced Portuguese manager at the helm. It is thought that the Red Devils would have to fork out €200 million to prise Antoine Griezmann away from Atlético Madrid, where he has been since 2014. The World Cup winner with his country this summer has been at the forefront of Los Rojiblancos’ success in recent years, which has seen the Spanish side win La Liga in 2014 as well as reach the UCL final in 2014 and 2016. Both of those European finals came against Zinedine Zidane’s Real Madrid side. Le10Sport report that Antoine is happy at the Wanda Metropolitano, however, and wants to stay in Spain before playing the final years of his professional career in America, preferably at David Beckham’ s newly-founded Inter Miami team.